Nandi County leaders have pledge to work together in the delivery of development projects to residents. 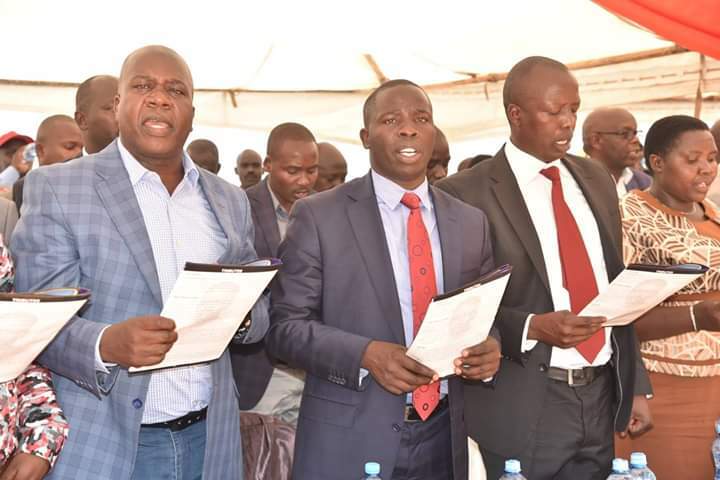 While speaking in Tindiret during the burial of Tindiret MP’s sister Irene Jepkorir, the leaders led by Governor Stephen Sang said it was important for leaders from the county to work together for the benefit of the electorate. “We must come together as leaders and rally our efforts for the benefit of our people” Sang said. The County boss said they have identified areas of collaboration which include infrastructure, bursaries, Water provision, access to electricity among others. He said the county will continue to partner with Constituency offices in the different sectors to spur economic growth across the county. Melly said that he will continue working closely with the Leadership of the County Government of Nandi for the benefit of the people. 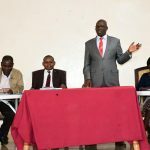 He indicated that last year, the county Government and the Constituency office worked together in the construction of Litei-Cheptonon-Kapsoit road that links Kericho County and Nandi. “I will continue working closely with the Governor and other leaders from the county to ensure that development projects in the constituency are done” he added. 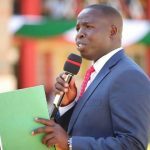 On his part, Aldai Mp Cornely Serem indicated that his office was working closely with the county leadership in roads and water projects. Serem added that he had liased with the county Government in the installation of street lights across the county. “Our duty as elected leaders is to take development projects to the people. That will only be achieved when we come together” Serem said. In a bid to hasten the provision of water to the residents, the county Government will provide drilling rigs while the MPs do the piping works and other logistics through the Constituency Development Fund. 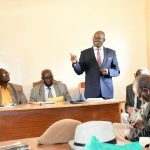 The leaders also agreed that they will work together in the provision of school infrastructural development, sinking of boreholes in schools and provision of bursaries for needy students.